RV Electricity is the most confusing utility within your RV. There will be at least 2 to 5 different ways things get charged, powered or used. The picture below can be very intimidating. However, let’s break it down to systems and basics! Let’s talk first about the types of electricity you have at your disposal to use within your RV. For discussion purpose, let’s “assume” you are hooked up in a campground or RV Park - therefore, "shore power"
We are also discussing only the “house” side of an RV, not the engine/chassis side of an RV! Below is a RV Electric Wiring Diagram or schematic including the converter and inverter for a generic RV. There are 2 main types of sources of RV electricity within your RV – 12 Volt DC and 120 Volt AC (same as 110 volt - just like your stick & brick, for our purposes). The 12 volt DC electricity powers our necessary items; the 120 Volt AC powers more of the “luxuries” of an RV. 12 volt DC powers things we must have available to us with minimal electrical effort – the water pump that pumps all your water from the fresh water tank to your sinks, showers and faucets; the hot air blower type propane furnaces are powered by 12 volts DC; refrigerators (except brand new style RV’s with the household type refrigerators - even more complicated!) are powered by 12 volts DC, reading and seeing lights within your RV are powered by 12 Volt DC. Most importantly, all your safety warning devices are powered by 12 Volt DC. 120 Volt AC powers the “extras” that we all want – the TV, the roof AC unit(s), coffee maker, etc. - Anything that could be used in a stick & brick style home. Now, since your stick and brick house has only 120 Volt AC, we immediately know an RV is “different” - therefore, the RV Electricity systems within an RV should only be worked on by someone “qualified” to do so ! 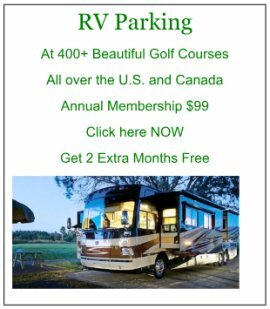 RV Parks and Campgrounds only supply 120 Volt AC. So, how do you get the 12 Volt DC?? We are still parked and hooked up to the campground “shore power”. Now, this RV Electricity will get even trickier! All of the electricity coming into the RV is 120 Volt AC. While some of it is going to the outlets within your RV to power your coffee maker, TV, Computer and perhaps a roof AC unit, the rest of that 120 Volt AC is going to a very special box that “converts” those 120 Volts AC to 12 Volt DC. The output of that “converter” is sent to your “house batteries” (and chassis batteries) to keep your batteries stored up and full of 12 Volts DC. All of the 12 Volt DC power for the water pump, furnace, refrigerator, etc. comes from the special “house batteries”. To keep them full, charged and ready to supply 12 Volt DC power within your RV, the "converter" will be used to convert those shore power 120 Volts of AC to 12 Volt DC. 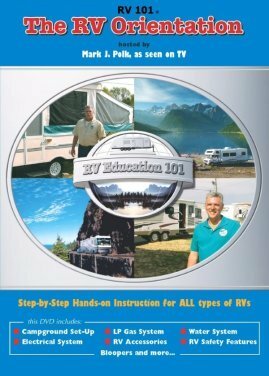 Just in case - here's another version of "Understanding RV Electricity"
OK, what if you’re parked without shore power to your RV – no 120 Volts AC coming into the RV at all!?! How can I make coffee in the morning or use my computer – they are all operating from 120 Volts AC!?? Assuming your RV battery system is fully charged with 12 Volts DC, a different device will “invert” the battery power of 12 Volts DC to 120 Volts AC. Most RV’s of today will have a single “box” that does both convert and invert – all at the same time! The biggest problem with “inverting” DC to AC is it takes a lot of reserve power out of your batteries quickly, in order to make the inversion. Therefore, you’ll get coffee made, perhaps your computer running – but don’t expect a lot of toast also!! Seriously, batteries are very good at storing 12 Volt DC, but not good at giving up a lot of power quickly to run all those appliances at 120 volts AC. To help manage large and quick power drains, RV Manufacturers typically recommended “deep cycle” battery power that can “handle” that type of abuse. Some great advice from Xantrax - the Converter/Inverter People! Like most things, if you have all the facts, you make great decisions! This will help you have ALL the facts. RV Electricity - LED Lighting, Solar Panels, Generators, Alternators, Wind Generators ??? Take a look at our LED Lighting page for more info, if you want to change your old style Fluorescent bulbs for the energy efficient LED Bulbs? OK, we’re still parked without being hooked up to “shore power” (RV Park or Campground). If we run too many items too quickly, our batteries will be dead – then what!?! You really like your “spot” and don’t want to move – you have several options available to recharge your house batteries. Solar Panels are our first choice – they are so quiet! Since they get their source of regenerative power from the Sun, it needs to be a bright sunny day. Perhaps the panels on the roof need to be tilted to face directly to the sun for maximum power. If conditions are right, they can be so effective and quiet, while providing plenty of RV electricity. However, solar panels will ONLY resupply your 12 Volt DC Batteries. Therefore, relying on only solar panel rejuvenation may be a problem. Depends on how much you “have to have” AC, etc. Wind Turbines/Wind Generators are - OK? However, they can be noisy and require pretty consistent wind – all the time, to be effective. They are much more difficult to set up and remove, but certainly a source of power for the batteries. Generators are the most common source of resupplying power for your batteries. Generators produce 120 Volts AC, therefore are very popular and effective – they are just like being hooked up to shore power – except NOISY and stinky! 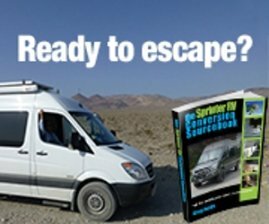 As a last resort, you can start your RV with the “other” unused battery source – the chassis batteries and then your engine’s Alternator will recharge your batteries! This should be done as a last resort though – it makes your engine's alternator really work hard, creating heat within itself, therefore damaging your long term usefulness of that alternator! One last device that needs mentioning is an “Energy Management System”. These systems are designed to protect the wiring, circuits, appliances, etc of a RV if there is a lightening strike or a campground pedestal that was damaged. You come along and “innocently” plug your RV in – Bammmmm – yucky, stinky electric burning smell and all the smoke comes out of the box(s)!!!! 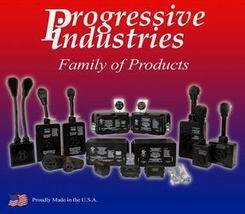 An EMS device is strongly encouraged and really should be installed ASAP – we strongly recommend the Progressive Industries Brand (RV Accessories Page). 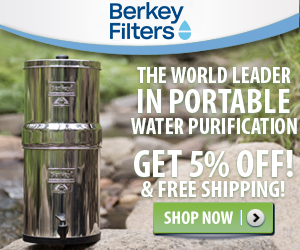 Plus, it comes with a Lifetime Warranty!! It will help keep all the smoke inside the box! You never want to see smoke come out of any device!!!! All of this seems complicated RV Electricity, but it really isn’t! Today’s RV’s have excellent devices to switch power from one source to another, protect circuits and provide just about any type of electric needed with just the “flip of a switch”. Understanding the relationship of each is what our "RV Electricity" is all about!